Kludt E, D’hondt C, Lenarz T, Maier H. Clinical Validation of a Sound Processor Upgrade in Direct Acoustic Cochlear Implant Subjects. Otol Neurotol. 2017 Jun;38(5):655-661. doi: 10.1097/MAO.0000000000001404. Salcher R, Zimmermann D, Giere T, Lenarz T, Maier H. Audiological Results in SSD With an Active Transcutaneous Bone Conduction Implant at a Retrosigmoidal Position. Otol Neurotol. Jun;38(5):642-647. doi: 10.1097/MAO.0000000000001394. Kuru I, Maier H, Müller M, Lenarz T, Lueth TC. A 3D-printed functioning anatomical human middle ear model. Hear Res. 2016 Oct;340:204-213. doi:10.1016/j.heares.2015.12.025. Ghoncheh M, Lilli G, Lenarz T, Maier H. Outer ear canal sound pressure and bone vibration measurement in SSD and CHL patients using a transcutaneous bone conduction instrument. Hear Res. 2015. [Epub ahead of print] doi:10.1016/j.heares.2015.12.019. Wardenga N, Batsoulis C, Wagener KC, Brand T, Lenarz T, Maier H. Do you hear the noise? The German matrix sentence test with a fixed noise level in subjects with normal hearing and hearing impairment. Int J Audiol. 2015;2027(November):1-9. doi:10.3109/14992027.2015.1079929. Mueller M, Salcher R, Majdani O, Lenarz T, Maier H. Electro-Mechanical Stimulation of the Cochlea by Vibrating Cochlear Implant Electrodes. Otol Neurotol. 2015;(7):1-6. doi:10.1097/MAO.0000000000000872. Schwab, B., Kludt, E., Maier, H., Lenarz, T., Teschner, M., 2015. Subtotal petrosectomy and Codacs™: new possibilities in ears with chronic infection. Eur. Arch. Oto-Rhino-Laryngology. 2015 Jun 20. [Epub ahead of print] DOI: 10.1007/s00405-015-3688-4. Maier H, Hinze AL, Gerdes T, Busch S, Salcher R, Schwab B, Lenarz T. Long-Term Results of Incus Vibroplasty in Patients with Moderate-to-Severe Sensorineural Hearing Loss. Audiol Neurootol. 2015;20(2):136-146. DOI:10.1159/000368387 PubMed PMID: 25824716. Grossöhmichen M, Salcher R, Kreipe HH, Lenarz T, Maier H. The Codacs™ Direct Acoustic Cochlear Implant Actuator: Exploring Alternative Stimulation Sites and Their Stimulation Efficiency. PLoS One. 2015 Mar 18;10(3):e0119601. doi:10.1371/journal.pone.0119601. eCollection 2015. PubMed PMID: 25785860. Busch S, Giere T, Lenarz T, Maier H. Comparison of Audiologic Results and Patient Satisfaction for Two Osseointegrated Bone Conduction Devices: Results of a Prospective Study. Otol Neurotol. 2015;36(5):842-848. PubMed PMID: 25730448. Burke WF, Lenarz T and Maier H Hereditäre Schwerhörigkeit. HNO. 2014; 62(10):759–770. doi: 10.1007/s00106-014-2901-x. Lenarz T, Schwab B, Maier H, Kludt E. Direkte akustische cochleäre Stimulation für die Therapie der hochgradigen kombinierten Schwerhörigkeit: Codacs™ Direct Acoustic Cochlear Implant System. HNO. 2014 Jul;62(7):481-9. doi:10.1007/s00106-014-2893-6. German. PubMed PMID: 25056645. Giere T, Busch S, Lenarz T, Maier H. Erste audiologische Ergebnisse des im Ohr getragenen Knochenleitungshörgeräts C.A.I. BC811. HNO. 2014 Jul 11. doi: 10.1007/s00106-014-2875-8. German. PubMed PMID: 25008271. Busch S, Kruck S, Spickers D, Leuwer R, Hoth S, Praetorius M, Plinkert PK, Mojallal H, Schwab B, Maier H, Lenarz T. First clinical experiences with a direct acoustic cochlear stimulator in comparison to preoperative fitted conventional hearing aids. Otol Neurotol. 2013 Dec;34(9):1711-8. doi: 10.1097/MAO.0000000000000225. PubMed PMID: 24232068. Burke WF, Lenarz T, Maier H. Hereditäre Schwerhörigkeit Teil 1: Überblick und praktische Hinweise zur Diagnostik. HNO. 2013 Apr;61(4):353-63. doi: 10.1007/s00106-013-2689-0. German. PubMed PMID: 23588679. Nolan LS, Maier H, Hermans-Borgmeyer I, Girotto G, Ecob R, Pirastu N, Cadge BA, Hübner C, Gasparini P, Strachan DP, Davis A, Dawson SJ. Estrogen-related receptor gamma and hearing function: evidence of a role in humans and mice. Neurobiol Aging. 2013 Aug;34(8):2077.e1-9. doi: 10.1016/j.neurobiolaging.2013.02.009. Epub 2013 Mar 26. PubMed PMID: 23540940. Maier H, Salcher R, Schwab B, Lenarz T. The effect of static force on round window stimulation with the direct acoustic cochlea stimulator. Hear Res. 2013 Jul;301:115-24. doi: 10.1016/j.heares.2012.12.010. Epub 2012 Dec 28. PubMed PMID: 23276731. 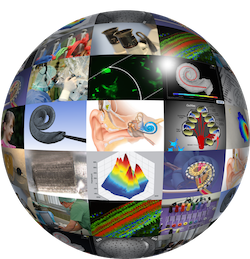 Schultz M, Baumhoff P, Maier H, Teudt IU, Krüger A, Lenarz T, Kral A. Nanosecond laser pulse stimulation of the inner ear-a wavelength study. Biomed Opt Express. 2012 Dec 1;3(12):3332-45. doi: 10.1364/BOE.3.003332. Epub 2012 Nov 28. PubMed PMID: 23243582; PubMed Central PMCID: PMC3521308. Schultz M, Baumhoff P, Teudt IU, Maier H, Krüger A, Lenarz T, Kral A. Pulsed wavelength-dependent laser stimulation of the inner ear. Biomed Tech (Berl). 2012 Sep 6;57 Suppl 1. pii:/j/bmte.2012.57.issue-s1-P/bmt-2012-4339/bmt-2012-4339.xml. doi: 10.1515/bmt-2012-4339. PubMed PMID: 23096342. Hennings JC, Picard N, Huebner AK, Stauber T, Maier H, Brown D, Jentsch TJ, Vargas-Poussou R, Eladari D, Hübner CA. A mouse model for distal renal tubular acidosis reveals a previously unrecognized role of the V-ATPase a4 subunit in the proximal tubule. EMBO Mol Med. 2012 Oct;4(10):1057-71. doi:10.1002/emmm.201201527. Epub 2012 Aug 30. PubMed PMID: 22933323; PubMed Central PMCID: PMC3491836. Schwab B, Salcher RB, Maier H, Kontorinis G. Oval window membrane vibroplasty for direct acoustic cochlear stimulation: treating severe mixed hearing loss in challenging middle ears. Otol Neurotol. 2012 Jul;33(5):804-9. doi: 10.1097/MAO.0b013e3182595471. PubMed PMID: 22699990. Trowe MO, Maier H, Petry M, Schweizer M, Schuster-Gossler K, Kispert A. Impaired stria vascularis integrity upon loss of E-cadherin in basal cells. Dev Biol. 2011 Nov 1;359(1):95-107. doi: 10.1016/j.ydbio.2011.08.030. Epub 2011 Sep 9. PubMed PMID: 21925491. Huebner AK, Gandia M, Frommolt P, Maak A, Wicklein EM, Thiele H, Altmüller J, Wagner F, Viñuela A, Aguirre LA, Moreno F, Maier H, Rau I, Giesselmann S, Nürnberg G, Gal A, Nürnberg P, Hübner CA, del Castillo I, Kurth I. Nonsense mutations in SMPX, encoding a protein responsive to physical force, result in X-chromosomal hearing loss. Am J Hum Genet. 2011 May 13;88(5):621-7. doi: 10.1016/j.ajhg.2011.04.007. Epub 2011 May 5. PubMed PMID: 21549336; PubMed Central PMCID: PMC3146719. Teudt IU, Maier H, Richter CP, Kral A. Acoustic events and “optophonic” cochlear responses induced by pulsed near-infrared laser. IEEE Trans Biomed Eng. 2011 Jun;58(6):1648-55. doi: 10.1109/TBME.2011.2108297. Epub 2011 Jan 28. PubMed PMID: 21278011; PubMed Central PMCID: PMC3449328. Gröger N, Fröhlich H, Maier H, Olbrich A, Kostin S, Braun T, Boettger T. SLC4A11 prevents osmotic imbalance leading to corneal endothelial dystrophy, deafness, and polyuria. J Biol Chem. 2010 May 7;285(19):14467-74. doi: 10.1074/jbc.M109.094680. Epub 2010 Feb 25. PubMed PMID: 20185830; PubMed Central PMCID: PMC2863209. Gea SL, Decraemer WF, Funnell WR, Dirckx JJ, Maier H. Tympanic membrane boundary deformations derived from static displacements observed with computerized tomography in human and gerbil. J Assoc Res Otolaryngol. 2010 Mar;11(1):1-17. doi: 10.1007/s10162-009-0192-9. Epub 2009 Oct 16. Erratum in: J Assoc Res Otolaryngol. 2010 Sep;11(3):525. PubMed PMID: 19834763; PubMed Central PMCID: PMC2820210. Maier H. Implantable hearing aids: a short review. ENT & audiology news 01/2010; 19:153-156. Pfeffer CK, Stein V, Keating DJ, Maier H, Rinke I, Rudhard Y, Hentschke M, Rune GM, Jentsch TJ, Hübner CA. NKCC1-dependent GABAergic excitation drives synaptic network maturation during early hippocampal development. J Neurosci. 2009 Mar 18;29(11):3419-30. doi: 10.1523/JNEUROSCI.1377-08.2009. PubMed PMID: 19295148. G. Rickheit, H. Maier, A. Muenscher, C. A. Andreescu, C. I. De Zeeuw, W. D. Richardson, N. Strenzke, A. A. Zdebik, T. J. Jentsch. Reduced endocochlear potential underlies deafness in Bartter syndrome IV. EMBO Journal, (2008), 27 (21), 2907-17. N. Strenzke, D. Pauli-Magnus, A. Meyer, A. Brandt, H. Maier, T. Moser. Update zur Physiologie und Pathophysiologie des Innenohrs. HNO (2008) 56 (1), 27-36. M.-O. Trowe, H. Maier, A. Kispert, Deafness in mice lacking the T-box transcription factor Tbx18 in otic fibrocytes. Development (2008) 135 (9), 1725-1734. H. Maier, Technik und Funktionsweise des Vollimplantates Carina. Otology (2007), 3, 6-7. I. Tomo, S. Le Calvez, H. Maier, J. Boutet de Monvel, A. Fridberger, M. Ulfendahl. Imaging the living inner ear using intravital confocal microscopy. NeuroImage, (2007) 35, 1393-1400. J. Blantz, M. Schweizer, H. Maier, Ch. Hübner, T. Jentsch. Loss of the ClC-2 chloride channel causes leukoencephalopathy. , J Neurosci (2007), 27(24), 6581-6589. T. Kharkovets, K. Dedek, H. Maier, M. Schweizer, D. Khimich, R. Nouvian, V. Vardanyan, R. Leuwer, T. Moser, T. Jentsch. Mice with altered KCNQ4+ channels implicate sensory outer hair cells in human progressive deafness. EMBO Journal, (2006) 25(2), 642-652. S. Sehhati-Chafai-Leuwer, S. Wenzel, S. Bschorer, R. Seedorf, H. Kucinski, H. Maier, R. Leuwer. Pathophysiology of the Eustachian tube – relevant new aspects for the head and neck surgeon. J. Cranio - Maxillofac. Surg., (2005) 34 (6), 351-354. Th. Boettger, B. Rust, H. Maier, T. Seidenbecher, M. Schweizer, D. Keating, J. Faulhaber, H. Ehmke, C. Pfeffer, O. Scheel, Lemke, Horst, R. Leuwer, H.-C. Pape, H. Völkel, Ch. A. Hübner, Th. J. Jentsch Loss of the K-Cl cotransporter KCC3 causes deafness, neurodegeneration and reduced seizure threshold in mice. EMBO Journal, (2003) 22 (20), 5422-5434. R. Leuwer, R. Schubert, S. Wenzel, Th. Kucinski, U. Koch, H. Maier Neue Aspekte zur Mechanik der Tuba auditiva. ,HNO, (2003) 51 (5), 431-438. Gamp, A.-C., Y. Tanaka, R. Lüllmann-Rauch, D. Wittke, R. D’Hooge, P.P. De Deyn, T. Moser, H. Maier, D. Hartmann, K. Reiss, A.-L. Illert, K. Figura, P. Saftig LIMP-2/LGP85 deficiency causes ureteric pelvic junction obstruction, deafness and peripheral neuropathy in mice. Human Molecular Genetics, (2003) 12 (6), 631-646. Th. Boettger, Ch. A. Hübner, H. Maier, M. B. Rust, F. X. Beck, Th. J. Jentsch Deafness and renal tubular acidosis in mice lacking K-Cl co-transporter KCC4. Nature, (2002) 416, 874-878. R. Leuwer, R. Schubert, Th. Kucinski, Th. Liebig, H. Maier The muscular compliance of the auditory tube – A model-based survey. Laryngoscope, (2002) 112, 1791-1795. J. Bretschneider, H. Maier, M. Hess, R. Leuwer,. Aufwand und Ergebnisse eines universellen ERA-Neugeborenenhörscreenings mit dem ALGOâ portable. Laryngo Rhino Otologie, (2001) 80, 357-364. R. Leuwer, H. Maier. Implantierbare Hörgeräte. Hamburger Ärzteblatt, (2001) 6-7, 306 - 308. H. Maier, R. Leuwer. Hören mit Hörgeräten. Hamburger Ärzteblatt, (2001) 6-7, 303 - 305. C. Zinn, H. Maier, H.P. Zenner, A.W. Gummer. Evidence for active, nonlinear, negative feedback in the vibration response of the apical region of the in-vivo guinea-pig cochlea. *CZ und HM zu gleichen Teilen Hearing Research (2000) 142 (1-2), 159-183. M. Knipper, C. Zinn, H. Maier, M. Praetorius, K. Rohbock, I. Kopschall, U. Zimmermann. Thyroid hormone deficiency before the onset of hearing causes irreversible damage to peripheral and central auditory systems. J. Neurophysiol. (2000), 83 (5),3101-3112. R. Leuwer, H. Maier, J. Berger. Evidence-based medicine - ein kritischer Überblick. Laryngo Rhino Otologie, (1999) 78, 359-364. M. Knipper, L. Gestwa, W.-J. Ten Cate, J. Lautermann, H. Brugger, H. Maier, U. Zimmermann, K. Rohbock, I. Köpschall, B. Wichers, H.-P. Zenner. Distinct thyroid hormone-dependent expression of TrkB and p75NGFR in nonneuronal cells during the critical TH-dependent period of the cochlea. J. Neurobiol. (1999), 38, 338-356. H. Maier, C. Zinn, A. Rothe, H.J. Tiziani, A.W. Gummer. Development of a narrow water-immersion objective for laser interferometric and electrophysiological applications in cell biology. J. Neurosci. Meth. (1997), 77, 31-41. H. Maier. Electrorotation of colloid particles and cells depends on surface charge. Biophysical J. (1997), 73 (3), 1617-1626. R. Leuwer, H. Maier, A.W. Gummer. Mikrolichtleiter-Spektrophotometrie an der Cochlea. HNO (1997), 45 (5), 372-377. M. Pfister, H. Maier, A.W. Gummer, S. Preyer. In vivo Cochleoskopie durch das runde Fenster. HNO (1997), 45 (4), 216-221.